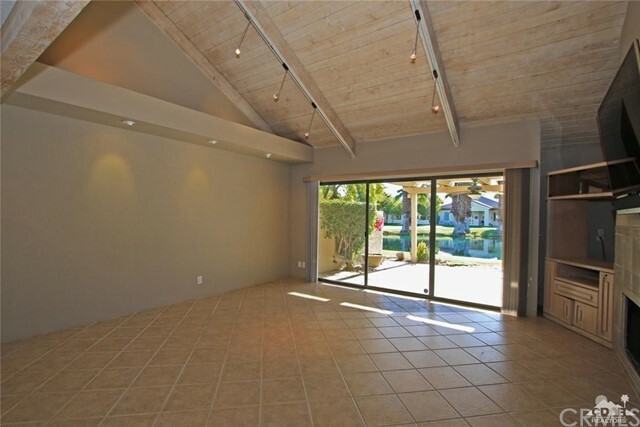 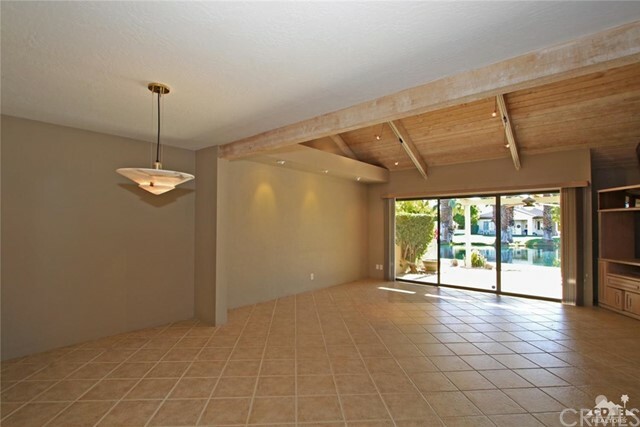 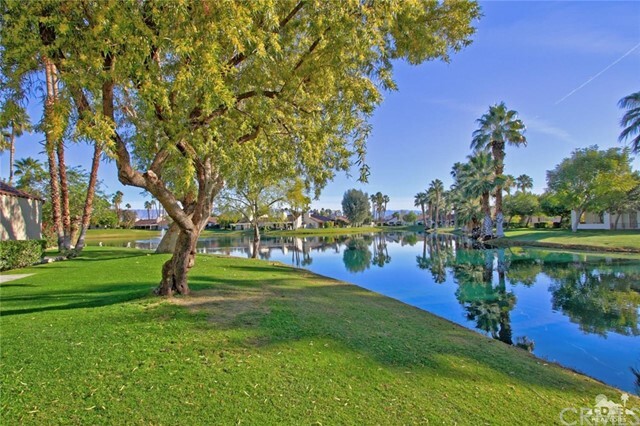 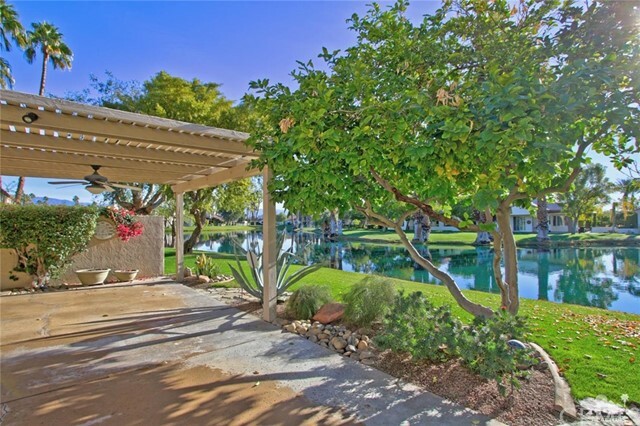 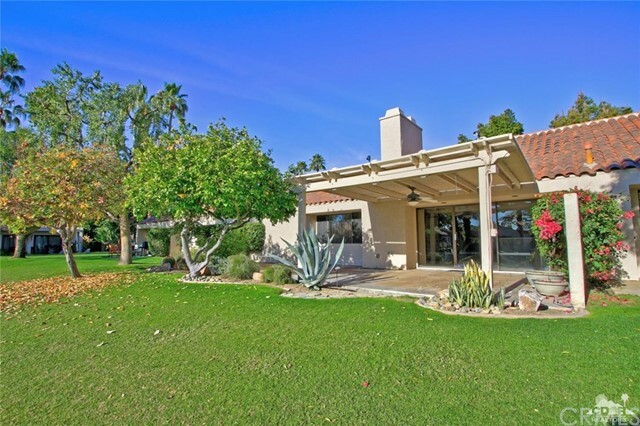 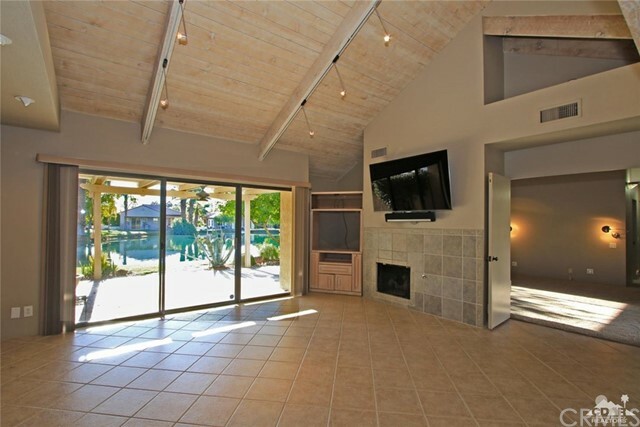 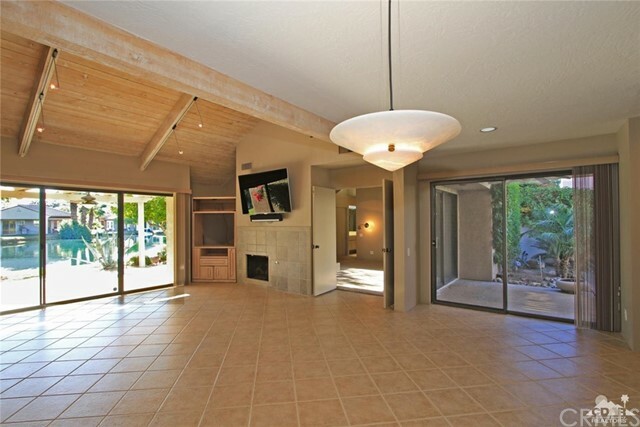 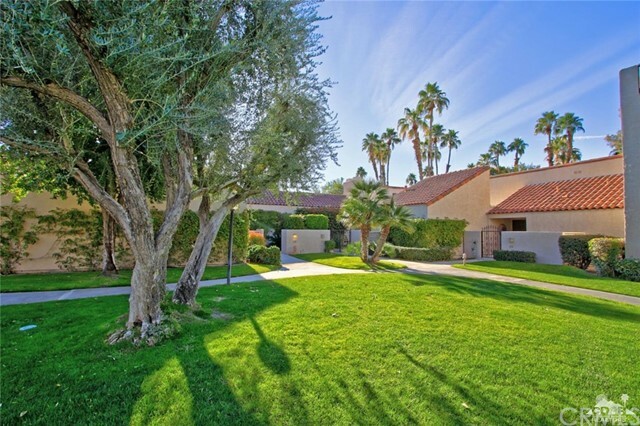 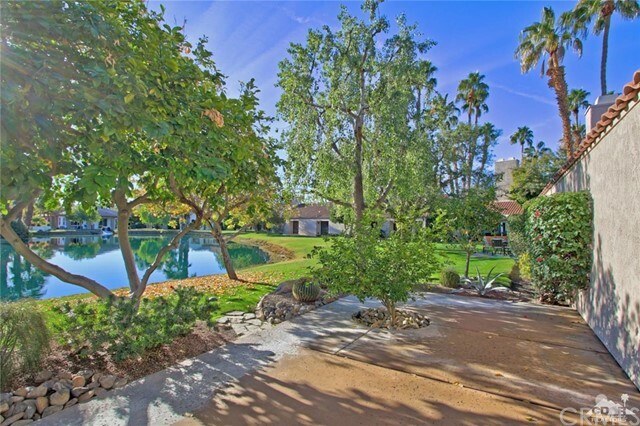 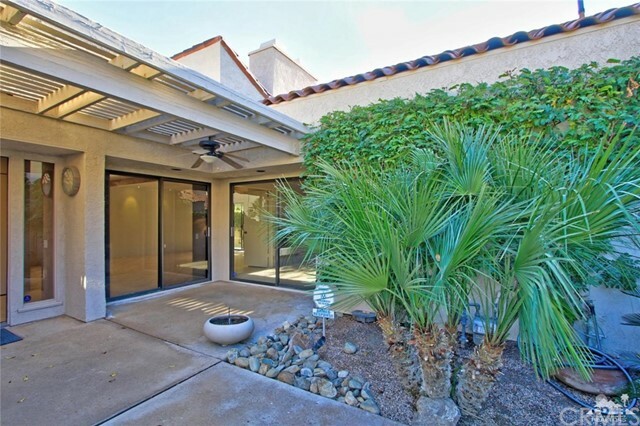 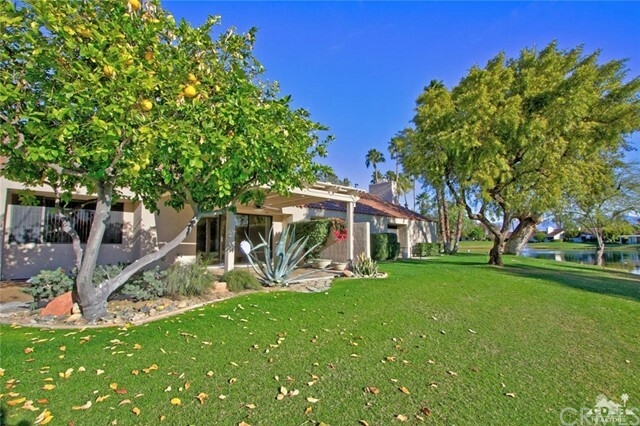 Amazing South Facing Lakeside Location with Mountain Views and Popular Open Floor Plan at Mission Hills Country Club. 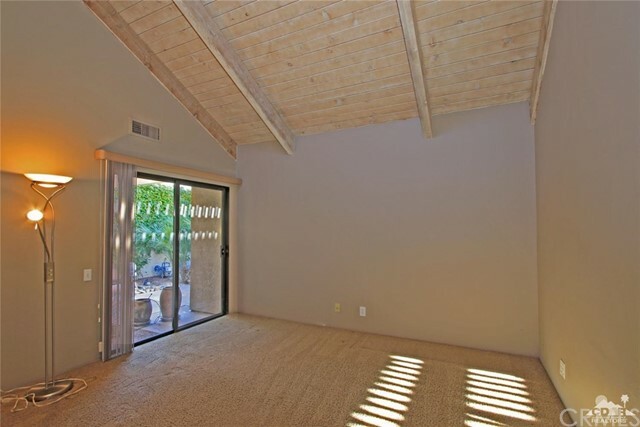 Enter the private courtyard into this charming tennis villa with high wood beamed, vaulted ceiling and double sided fireplace from the living room to the master bedroom. 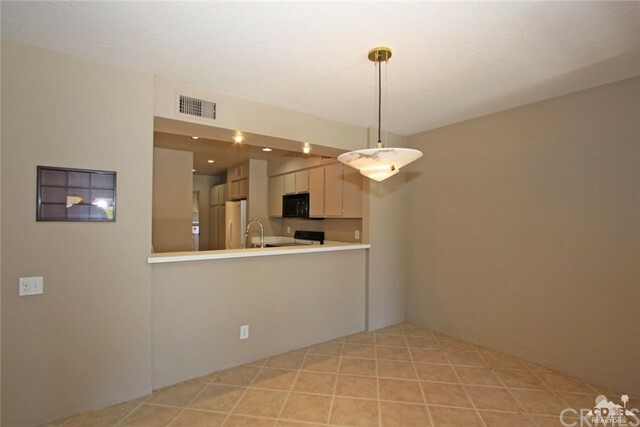 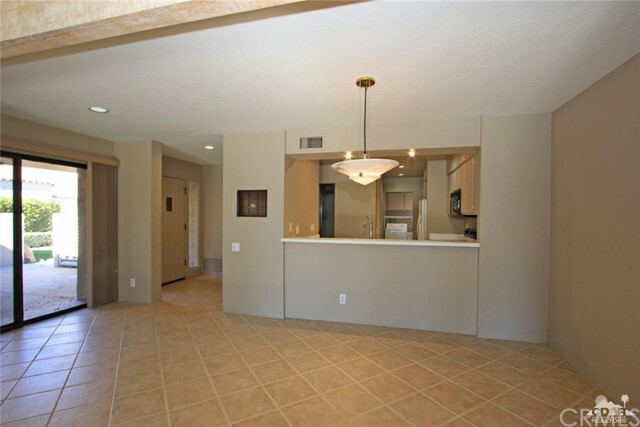 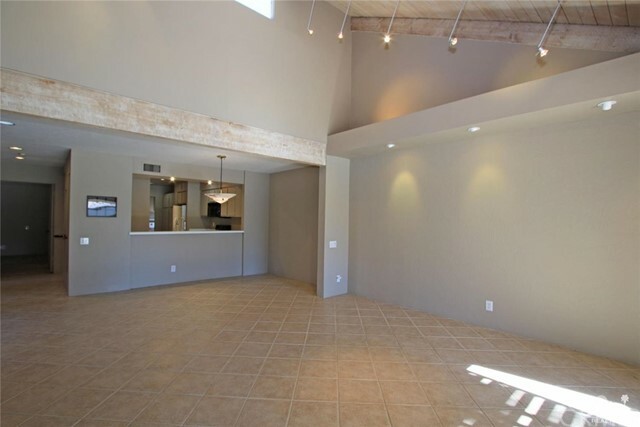 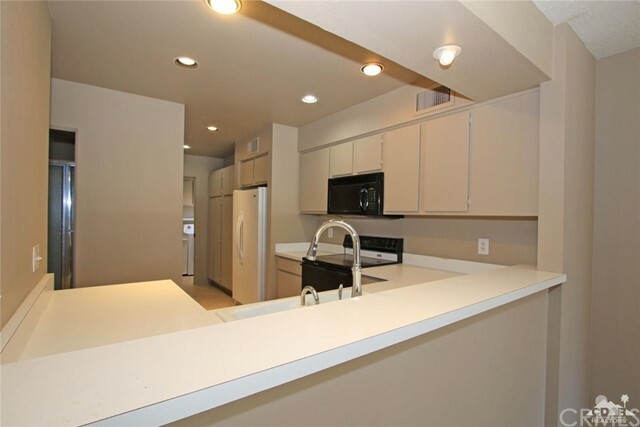 Open great room floor plan with living and dining open to social kitchen with counter seating. 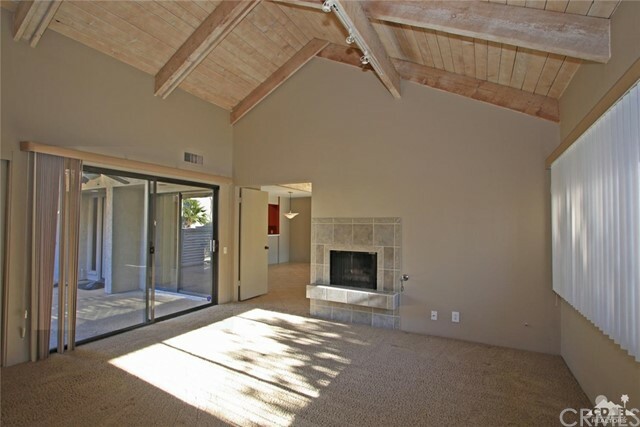 Great Room features fireplace, built-ins and sliders to the terrace. 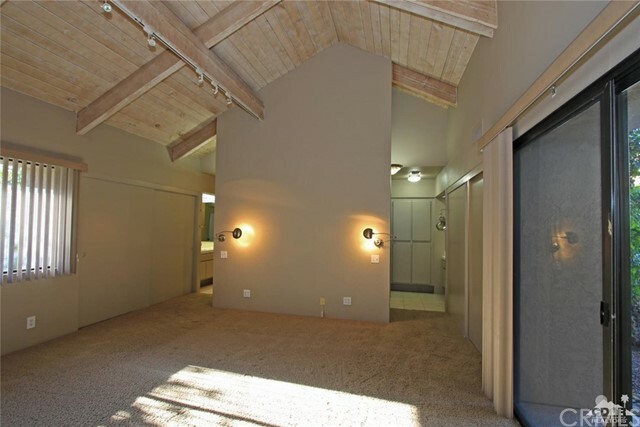 Master Suite with fireplace and views of the lake. 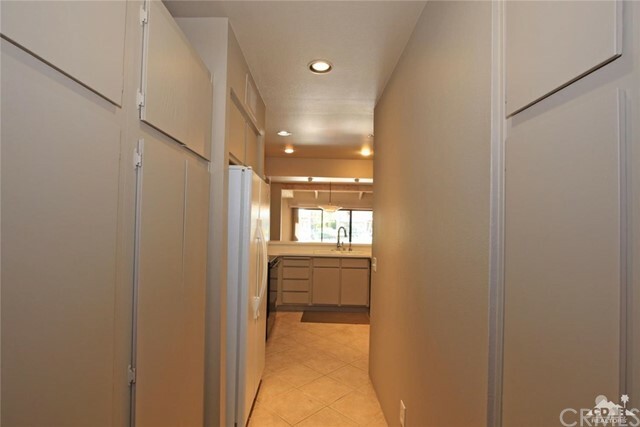 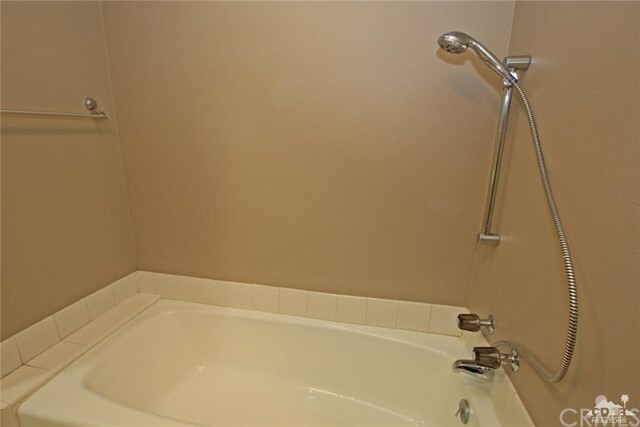 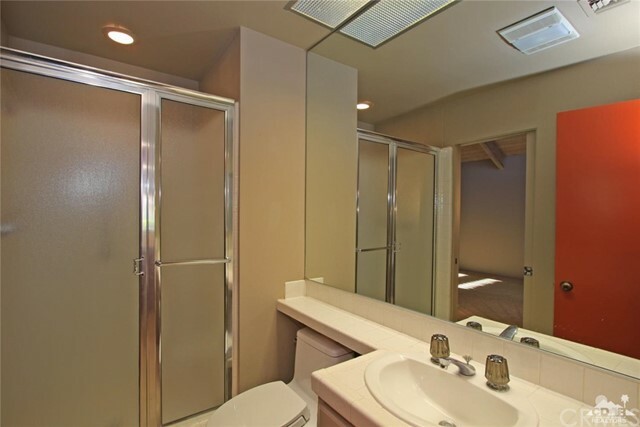 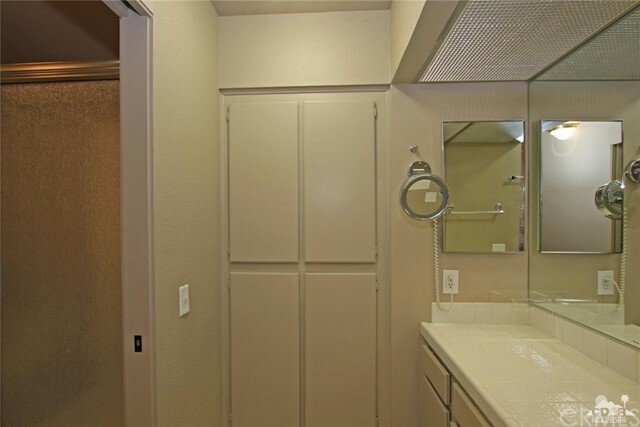 The master bathroom has dual vanities, shower and tub. 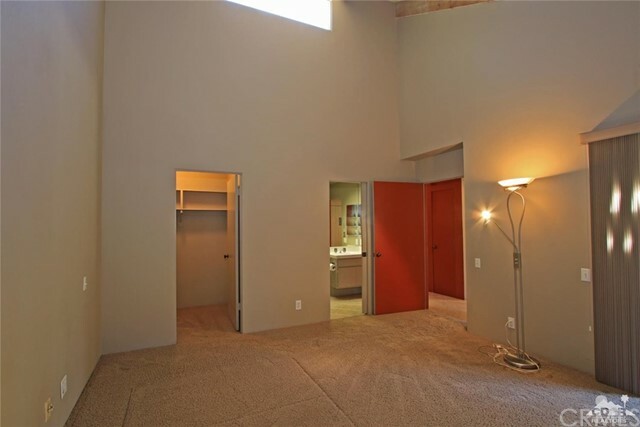 A spacious guest bedroom over looks the courtyard and has an ensuite bath. 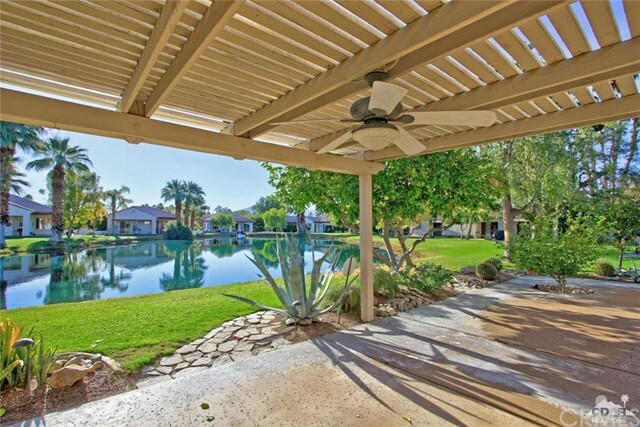 A large covered patio with south facing lake,and mountain views for enjoying outdoor living. 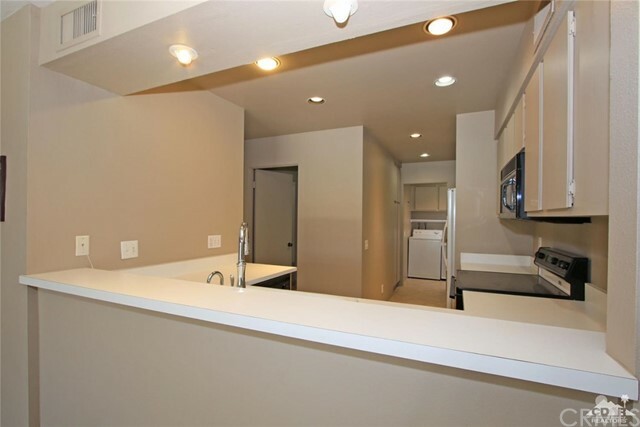 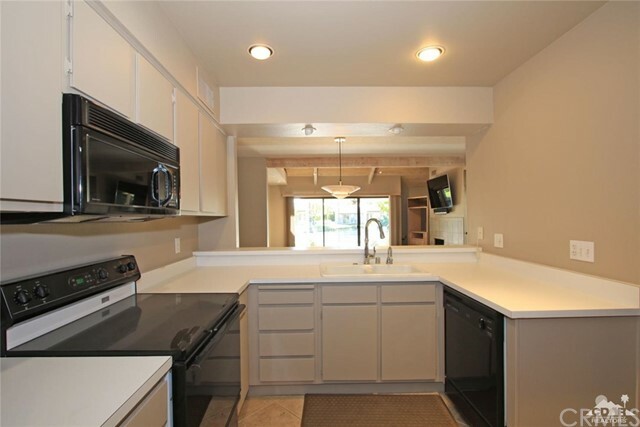 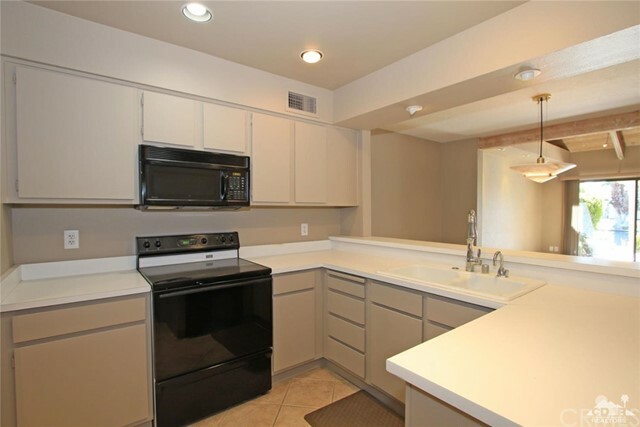 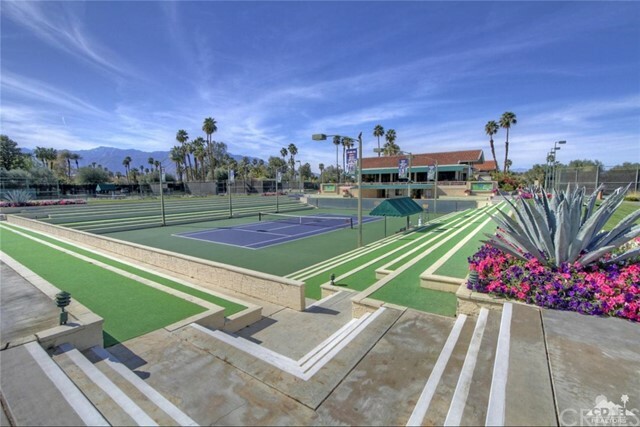 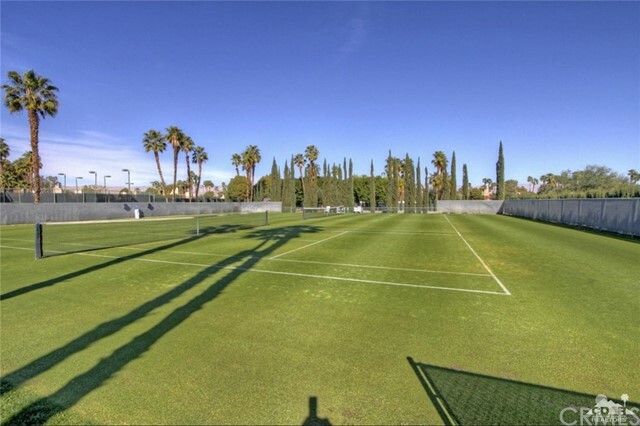 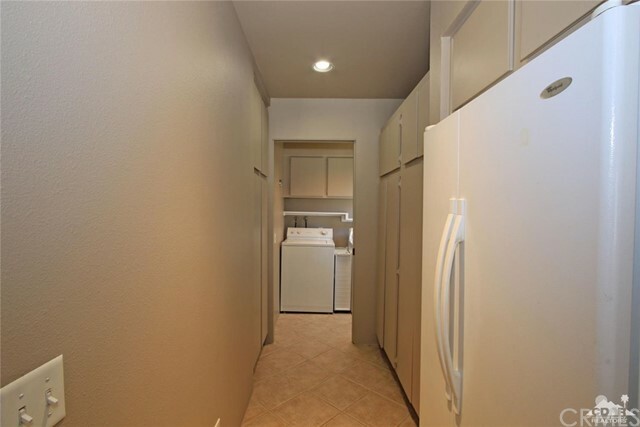 Walking distance to the tennis, boccie ball & croquet courts, state of the art fitness center and the community pool. 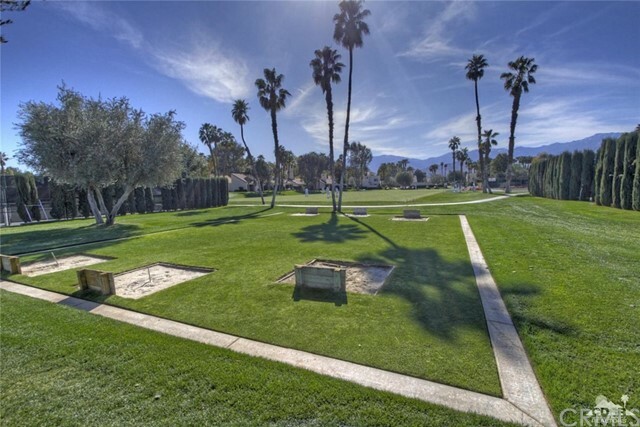 Home of the LPGA tournament. 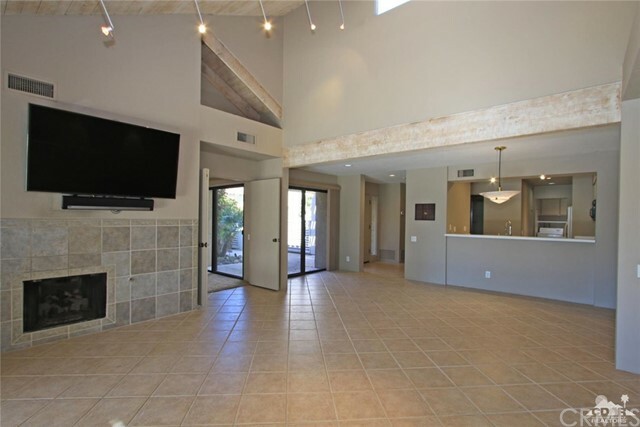 Come home to your desert retreat!